Free and Open Source Software (FOSS)/Open Educational Systems development projects abound in higher education today. Many universities worldwide have adopted open source software like ATutor and Moodle as an alternative to commercial or homegrown systems. The move to open source learning management systems entails many special considerations, including usage analysis facilities. The tracking of users and their activities poses major technical and analytical challenges within web-based systems. This paper examines how user activity tracking challenges are met with data mining techniques, particularly web usage mining methods, in four different open learning management systems: ATutor, LON-CAPA, Moodle, and Sakai. As examples of data mining technologies adapted within widely used systems, they represent important first steps for moving educational data mining outside the research laboratory. 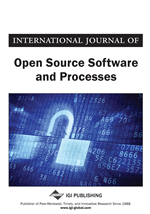 Moreover, as examples of different open source development contexts, exemplify the potential for programmatic integration of data mining technology processes in the future. As open systems mature in the use of educational data mining, they move closer to the long-sought goal of achieving more interactive, personalized, adaptive learning environments online on a broad scale. As more teaching, research, and administrative processes are moved online, there arise both needs and opportunities for tracking, analyzing, and improving the online institutional systems involved. Important to the success of these online environments, for instance, is meeting increasing demands to document educational outcomes. Even as the distance between students, faculty, and administrators decreases online, demands for more detailed and rigorous accounting of teaching activities, curricular progress, and learning outcomes are increasing. Before the advent of large cross-institutional open source projects, e-learning tracking and reporting functionality was typically provided by software vendors. An educational technology group at a college or university could confine its efforts to meeting the mandates and needs of the local institution by using the reporting features of the commercial systems. In the case of open source applications, are often left to consider how information should be captured and managed, how to ensure that these requirements are ever included in the development process, or how to address these needs in other ways (e.g., data mining) when they’re not.